Pegs… They’re Not Just for Legs Anymore! Home » Pegs… They’re Not Just for Legs Anymore! Last week, I received one of the most memorable tangible gifts ever. 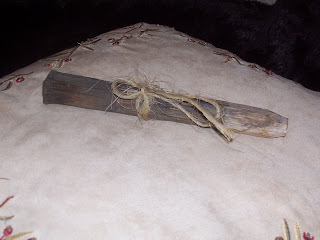 A six inch long wooden peg. My roots in America started in Germany. When both sides of my family immigrated, they ended up within, oh, 40 miles of one another. Like the vast majority of Americans, everyone has remained within 50 or so miles of where they were born (true fact I learned from Trivial Pursuit). The farm on which I grew up is attached to the farm owned by my grandparents. So, this land has been in the Engel name for just shy of a century. When my grandmother passed away in 1996, she left a small farmstead; outbuildings, 100 acres of land, a barn and a farmhouse with a date etched in the kitchen window of 1859. Our best guess is the barn, too, is nearly 150 years old. Well, what do you do with 150 year old buildings no one will ever again inhabit? Our answer came in the form of Dan and Bonnie Eudy. Dan and Bonnie were searching for old lumber with which to build their dream home. But no novices, they wanted real, heavy, true oak lumber that just really isn’t produced these days; or at least not where normal folks can afford it. Dan and Bonnie were given permission to tear down the Engel barn and take the ancient lumber to build their “new” home… a task they’ve done with absolute zeal! While in STL last week, I finally got to meet Dan and Bonnie. 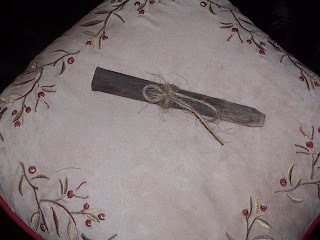 It was then I received the wooden peg which was one of many that held up the old red barn. 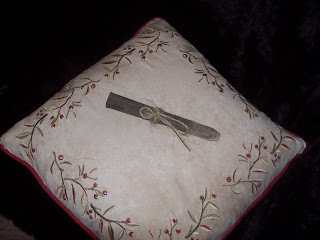 I adore receiving family heirlooms and this? Well, this is probably the oldest family heirloom I own. It’s now sitting in the newest heirloom Marvelyne and I have – the china cabinet she received from me as our wedding gift. It’s strange how a six inch wooden peg can make me feel so connected to family. Those deep, long lasting roots are something which is sorely missing in Florida.